Minor characters have a hard time in sitcoms. Often, they only perform temporary functions in the development strand of a main character, and when that is completed, the minor character is discarded as quickly as it was introduced into the plot. In the crooked cosms of such long-lived sitcoms as The Big Bang Theory arise partly creepy black holes that put the stability of the serial system in question. One such case is Alex Jensen's The Big Bang Theory. If you stumbled upon a Season 6 episode of The Big Bang Theory on ProSieben, you most likely met Sheldon's assistant, Alex, played by Margo Harshman. Alex enters the The Big Bang Theory stage for the first time in Season 3 of Season 6. She is a PhD student at the California Institute of Technology, where Raj, Leonard, Sheldon and Howard are also employed. 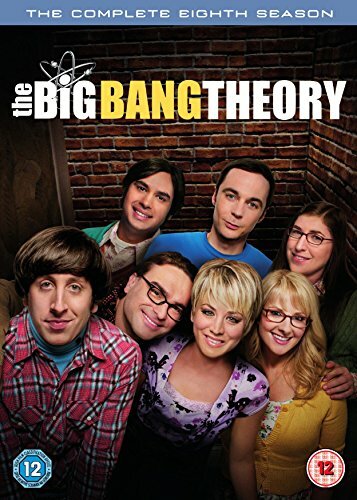 Sheldon engages Alex as a research assistant, which Alex enters the periphery of the clique and Penny (Kaley Cuoco) met. What a conflict conjures up, because Alex will fall in love with each other in the course of their presence in the series in Leonard. Sheldon's stinking that he needs to share Alex's attention with Leonard, his personal assistant is solely concerned with his needs. Alex should get her female instincts under control, whereupon Sheldon gets a complaint about sexual harassment. Alex remains, however, Sheldon's assistant. Nevertheless, this fulfills Alex's role in the TBBT cosmos. Sheldon's self-glaring is (unsustainably) shaken, a persistent theme of the sitcom. And Penny appreciates her loyal Leonard more. By Alex's affection, Leonard's role in the relationship consolidates a bit. Nobody knows. On her last appearance in the series, Alex gets a Valentine's gift for Sheldon's girlfriend Amy, which shows that Sheldon did not really internalize the shot of the bow of his arrogance. After that, the character Alex Jensen simply does not exist anymore in the TBBT-cosmos. After 4 episodes distributed over the 6th season, the character Alex disappears without explanation from the life of the main characters. About the reasons of farewell can only speculate. Possibly Alex and Sheldon ended their busy work relationship yet and the authors did not feel obliged to write her a small farewell line in the script. Maybe the character was just forgotten during the summer break. Or Alex's actress Margo Harshman quit The Big Bang Theory for a more engaging engagement. In the same year of her strange TBBT guest star Harshman starred in the web series Betas, which, however, was discontinued after a season. However, she appeared a short time later in other series on CBS, such as CSI and NCIS. At Navy CIS, Harshman's role was more significant, with 13 episodes of analyst Delilah Fielding featured in the series last year. So possibly Margo Harshman was secretly deducted by the station CBS from The Big Bang Theory to NCIS, which the figure Alex Jensen from The Big Bang Theory had to disappear. Did you miss Alex Jensen in The Big Bang Theory?